Freelancers, craftsman’s companies, medium and small businesses – they all want to be found on Google to acquire customers. The common solution is to create your own website and present your offer as well as possible. 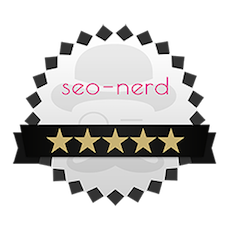 SEO agencies like seo-nerd® GmbH from Berlin make a good living giving advice on this topic. After all, simply setting up a website is by no means enough. This means that you have to put a lot of work, time and effort into your website so that it has a chance to assert itself against the competition in the SERPs. Since 2017, however, there’s a shortcut for small and medium-sized businesses to be listed at the top of Google: the Google Business Website. Consider the Google Business Website as a homepage construction kit for your company. You can access it via the Google company entry in Google My Business. Setting up the Google My Website is very easy: The most important information about your company, such as address and telephone number, is taken from the information you already entered in Google My Business. Then you can design the website with photos, graphics and text according to your wishes. Finally, select a domain name (e.g. 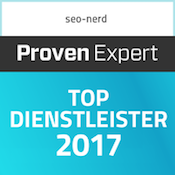 https://seo-agentur.business.site/) and publish the site. You don’t need any hosting of the site and therefore save costs. Thanks to Responsive Design, the site automatically adapts to all mobile devices. Changes on Google My Business are automatically transferred to the website. The Google Business website can also be easily managed on the go. The URL can be selected to match the company name. The Google My Business website is an ideal addition for companies that already have their own website but want to do more for their local ranking success. Why is Google My Business so important for local companies? In 2018, the US online marketing service MOZ investigated for the second time which factors are important for local rankings (i.e. rankings on search queries such as “next doctor”, “lawyer in REGION” or “baker in CITY NAME”). The comparison with 2017 was clear: the influence of Google My Business on the ranking rose from 19.01% to 25.12% within one year. According to the MOZ study, the influence of on-page factors such as the correct name, address and telephone number, the use of keywords in the title and domain authority also decreased to 14%. On the other hand, for a website that wants to rank transregionally, the proportion of on-page signals is still over 25% and that of link signals just under 28% (although the influence of internal links is also taken into account). 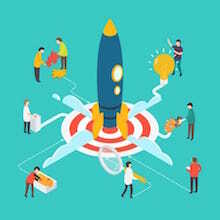 Anyone whose products, offers and services are aimed at a transregional market can (and must) therefore compete for Google’s attention with extensive information. 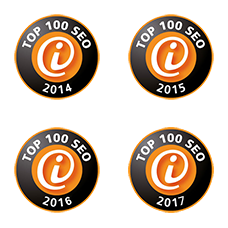 In the local ranking competition, on the other hand, you do not give your site the visibility with detailed articles that you would achieve with the same means in transregional rankings. Instead, as a local provider, you’d better invest time and money in Google My Business. Since 2017, Google has continuously expanded its range of Google My Business activities. For some time now, you’ve been able to create posts that keep customers up to date on your business. Post at least once a week and show Google and your customers that it’s worth following you. It is also very important that your company profile is filled out completely. That’s how you build a strong basis for local SEO success with your Google My Business Website. The construction kit for a Google My Business website is relatively easy to use. However, the implementation also costs time and effort. A little experience in dealing with texts and pictures also helps to present you and your company ideally on the net. The seo-nerd® happily takes over this task for you. 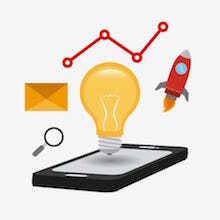 We will gladly show you in a free consultation how to automate your customer acquisition in the future with the help of a Google My Business website. 3. Why is Google My Business so important for local companies?